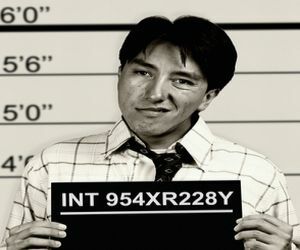 Should Mugshots Be Posted Online? There are legitimate reasons to publish arrest records, including mugshots. The most important reason is to notify the public that the government has seized a citizen. It would be very bad if the government could make people vanish without a trace. Publishing mugshots also helps law enforcement gather evidence of other crimes. A victim of an unsolved crime may recognize the face of an unknown criminal and contact authorities with additional testimony. On the other hand, publication of arrest records can be unfair to those who are arrested. “Innocent until proven guilty” is a fundamental presumption of our legal system. Unfortunately, the general public tends to presume that merely being arrested means you are guilty as charged. Many people figure that if you are not convicted, it’s only because you had a slick lawyer or the prosecution didn’t do its job. This presumption of guilt can have devastating effects on employment prospects, housing opportunities, and personal relationships. Commercial mugshot sites exacerbate this negative aspect of publication by neglecting to tell the whole story. They publish only records of arrests and not their subsequent outcomes. They will not tell inquiring minds whether charges were dismissed or an arrestee was found not guilty at trial. At best, they will remove an arrest record and mugshot from their databases if you can prove that you were not convicted. How Do Mugshot Websites Make Money? Some sites make it difficult to contact them with proof, presumably because removing mugshots cuts into their profits. Mugshot sites make money in two ways. First, ads appear on the sites that presumably are of use to the party who is searching arrest records. One defense attorney was shown an ad for his own practice on a page displaying his mugshot! Second, mugshot sites make money by removing mugshots from their sites. It can cost $400 to have your arrest record expunged from just one site, and there are many mugshot sites out there. It sounds a lot like extortion, but legal experts say that’s not the case. The crime of extortion involves threatening to do something in the future that will harm the victim if he doesn’t pay you. Mugshot sites have already done their thing, and are demanding money to undo it. It may be wrong, but technically, it’s not extortion. So-called “reputation services” have sprung up that offer to get arrest records expunged from multiple mugshot sites for even bigger fees. In some especially outrageous cases, the reputation service is owned by the same company that operates the mugshot sites! Philip Kaplan is fighting this legal but unjust practice in court. The 34 year-old graphic artist has filed a class action lawsuit against several Ohio-based mugshot sites, alleging that their removal fees constitute commercial exploitation of his publicity rights without his permission. If his is successful, damages could be awarded for over 259,000 Ohioans whose mugshots appear on sites that charge fees for removal. Each violation is worth up to $10,000. Sometimes a letter from a lawyer threatening such a lawsuit is enough to make a mugshot site “waive” its removal fee and delete the offending record. I know of one litigant who took his case against several sites to court. None of the defendants bothered to appear, so he received a default judgment of $10,000 against each of them. Within days of being notified of the judgment, all of the sites removed his arrest records. Collecting the damages is an ongoing struggle, but at least he didn’t enrich his abusers. Only 17 States have right-of-publicity statutes that enable such lawsuits for private citizens. Some States are considering bills that would require mugshot sites to remove arrest records free of charge if an arrestee is not convicted within a certain period of time, or if he provides evidence of exoneration. The First Amendment protects the right to publish public records such as arrest and mugshot records. These records need to be publicly available for reasons cited above. But that doesn’t mean you can profit by portraying someone in a false light (by omitting the outcome of an arrest), and profit again by charging the victim for redress of that grievance. Crafting laws that prohibit such practices without infringing upon legitimate publication of arrest records is challenging but necessary. Most recent comments on "Mugshot Malpractice?" As someone who has spent almost 2 years through our legal system pursuing an individual for wire theft, fraud, etc, etc, it made my day seeing the "defendant's" mug shot and lengthy arrest record posted for all to see. There are some people that should have the world know just who they are and what they have done. These websites should remove the mugshot photos if a person is found innocent. If guilty, let the world see. First, thank you again for your interesting and useful newsletter. However, in democratic countries, the police is required to notify the family of the arrested person and her/his lawyer. It is also required to bring the arrested person to a court-of-law if it wishes to extend the arrest beyond a short period of, say, 24 hours. The above measures are definitely sufficient to both protect the rights of the arrested person and to serve the interest of the public. The publication of arrest records and mug shots are a CRUEL PUNISHMENT of people BEFORE they were even prosecuted. In the U.S., a person can be arrested, released from custody within several hours because the police realised that she/he were innocent and yet get her/his reputation ruined forever. Is it not so? The practice of publishing arrest records and mug shots is one of many indications of the wickedness of the American legal system. Thanks for this info, Bob. I'm passing it on. I know someone young who was booked for saying something within earshot of the police (short version of the story) and there's a "mugshot" online of the ankle cuff (thank God it's not a face photo). This is a really fine person who was frustrated. While looking for a job, this particular piece of information weighed heavily on the young person's mind. Not knowing how to address it - if a prospective employer asked about it - was putting a serious damper on the job search. I gave the following great advice that blasted through the mental barrier: If you are asked about that incident in the job interview, say with complete confidence, "Yes. I'm not proud of that. I was caught in a frustrating situation and let a bad word slip within earshot of the police. I intend for it never to happen again." Let that bullet fly and drop, indicating that that is the end of the matter. And it was. Within a short time, this person landed a good job with head held high. IAAL. Spain has basic protections for people with old mugshots, giving then the right to force their removal from search engine results. People with the old mugshots say, with equal force, that they need to live their lives. Sites like The Smoking Gun may limit their photos to recent arrests, but there's a slimy underbelly in making advertzing $$$ by slamming good people years after the event. It's an unintended consequence of the invention of the internet, and there's no principled way to decide where to come down. Only history will tell. Mr. Attorney, you nee to go back to law school. 1. They have the right to publish arrest records. 2. Their disclaimers are in place to protect from what you say is "false light". 3. They have no obligation to follow up on dispositions. 4. 'publicity rights' is about trading on someone's name, nothing to do with publishing rights. Larry, having the right to do something doesn't mean you should do it, and not being obliged to do something is no excuse for not doing what's right. Doing whatever you can get away with is the strategy of sociopaths. Your 4th point is just wrong; infringing upon someone's right of publicity involves publicizing, which is publishing. David, read below. I spoke to few attorneys about this, Right Of Publicity won't work in these cases. Even in the removal process, they aren't blindly offering it to everyone, they simply offering a service if you place an order. If anyone is ever affected by Right Of Publicity here (and I highly doubt it), it would only be limited to those who placed an order first. "Here is your problem----a mug shot was taken of you. It is available from sources on line. You do not own the copyright in the mug-shot---the copyright is owned by whoever took the photograph and/or the governmental authority who paid him. Thus, you have no legal right to limit its use and distribution. It is a true picture that reflects an unfortunate but real event that occurred in your life. Guess what--you have no claim for invasion of privacy---you have no right to keep private your arrest and conviction history---including mug shots. The only potential claim would be for violation of your right of publicity. But this will not fly because the mug shot companies are not suggesting that you endorse their products---they simply publish mug shots of persons who were arrestee and/or convicted. Indeed, my view is that your claims would be frivolous. I suspect that very few lawyers would be willing to pursue such claims---I would be worried that I would face Rule 11 Sanctions if I would do so. "